If you have the orange oil fill cap, try replacing that. I had similiar issues, not as bad though. Original oil filler cap would not tighten all the way, causing air leak. Sometimes suction of engine running would pull cap tighter, making a seal - this made it harder to track down the issue. I bought a new oil fill cap that is very tight, and it made a huge difference in how the car runs - feels like a new engine! Went on my search for the vacuum leak. Still no apparent damage can be seen as I traced past the vacuum canister. The brake booster connection looked good too. But the oil cap mentioned above concerned me. So I got her putting along and removed the oil cap. I saw no difference in performance. So I traced the oil filler tube in the engine compartment. But I couldn't find any damage, cracks, or oil leaks. Can this filler tube (any of the three pieces) or even a bad oil cap (mine looks yellow) cause a massive vacuum leak? Thanks in advance. Went on my search for the vacuum leak. Still no apparent damage can be seen as I traced past the vacuum canister. The brake booster connection looked good too. But the oil cap mentioned above concerned me. So I got her putting along and removed the oil cap. I saw no difference in performance. Buy a new oil cap. It's cheap and yours is an old part number. 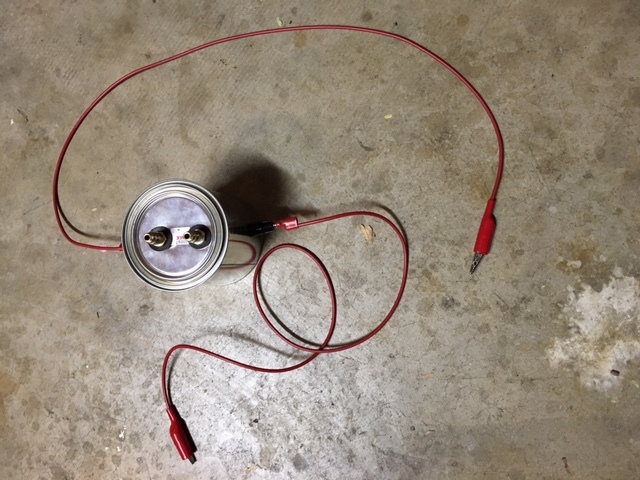 Search this forum for how to make your own smoke machine or rent one. I'm telling you if you're going to check for leaks, do it right. Smoke goes into the intake and it comes out where your leak is. Couldn't be easier. Yes the oil fill tube can be a big one. They are plastic and can rip wide open. Hard to see without a smoke machine. Ordered the oil filler cap. Got everything together to build my smoke machine tonight. I didn't realize that they are basically a vaporizer with a regulated air input. I'll remove the MAF and clean it while I have it out. Thinking about using the hole where the MAF is located to inject the smoke, sealed by a custom gasket (duct tape). Then I can finally see where this car is leaking. Will post some videos of it. Last edited by tada; 03-24-2016 at 08:06 AM. You can use some of that special gasket material on the outside intake. The closed throttle will most likely block the smoke. 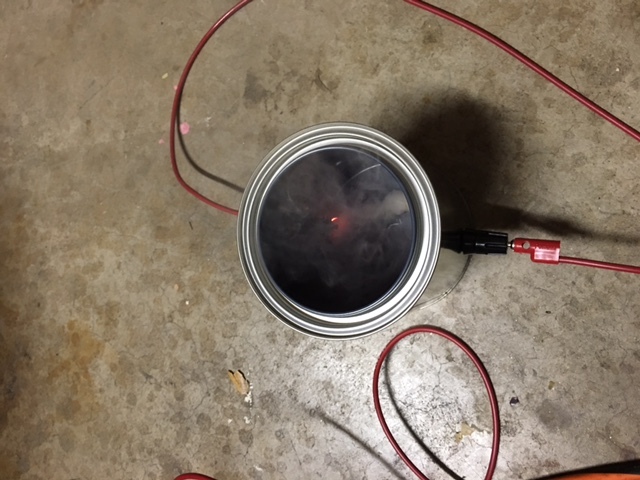 Introduce the smoke into one of the tubes that comes off the Y connector near the vacuum reservoir - or at the fuel pressure regulator? Well, ran the smoke test with no luck. I performed it pretty much like the Pelican write up. I removed the MAF, cleaned it, set it aside. I sealed off the snorkel and air box cover. Then I pumped smoke in. I have a video, but it's pretty bad. Anyway, went in through the MAF opening (sealed off) and smoke was being generated. But I saw no leaks at the throttle body, the brake booster, the tiny fittings, the canister, nowhere. I then held the throttle body open, hoping smoke would pass farther. Still no leaks. And I opened the oil filler cap. No smoke would ever reach it. But putting smoke in through the intake wouldn't really generate smoke from the filler tube or crankcase unless the PCV valve was bad, would it? So I put the smoke directly into the oil filler tube and sealed the top. No leaks in either of the three sections, the crankcase, or where the middle tube attaches. So I can find no vacuum leaks at this point that is causing the crappy idle and stalling. But it was a fun test to try. Any ideas? Did I do it wrong? So to summarize, a non runner bought from a PO who bought it from a dealer in July. Stored in a garage over winter, would not start. He changed the plugs and what looks to be the ignition switch. I jump started it when I inspected it and it runs as seen in my video. I replaced the battery, fuel pump, fuel filter, fuel sending unit, and plugs. Changed the oil. It was brown not black, no metal found in oil or filter even using magnet. Coil packs ohm out ok. Injectors ohm out as well. Now, no vacuum leaks. I'm now wondering about the DME. Or maybe carbon build up in the throttle body. Last edited by tada; 03-24-2016 at 08:39 PM. I stepped away and tried to think about this. I found the plugs in cylinders 1, 2, and 3, which have no miles on them to be covered with soot. So I smelled the oil dipstick and found it to smell like gasoline. So, I replaced the fuel pressure regulator. The result was the same, rough idle, missing, dies when given any gas. But it does run longer now. Also some white smoke came from the exhaust. So at this point I guess I move on to the injectors and a lot of disassembly to get them out. While I'm removing pieces, it should be an excellent time to clean and check every fiddly piece for leaks. Any advice or encouragement would be appreciated. Last edited by tada; 04-01-2016 at 03:10 PM. At minimum you will have to either clean your plugs or get new ones since they're fouled now. Are you sure the proper plugs have been installed by PO? Electrical issue maybe as injectors are working but no plugs firing? Sounds like plenty fuel there. Once plugs load up they are hard to fire. I replaced the plugs with Bosch platinum plus 4 plugs. But I have read some bad reviews of them since. I'll get some new plugs tomorrow and go with original OEM to see if that changes things. I'm also going to clean the throttle body and intake air control valve. Thank you for the suggestion on spark plugs. Probably a really dumb suggestion. But since you bought a non runner, did you completely drain fuel and add new fresh? Might be worth trying some chevron tech Ron in the tank if you can get it to run long enough. No, very good question. Since I bought it, I replaced the fuel pump, fuel filter, fuel sender, and fuel pressure regulator. Installing the pump meant draining the tank. While in there I cleaned it out completely. It now has 5 gal of Shell 91 octane gas and a full bottle of Techron in it (6 for $19.99 at Costco). So other than the injectors, I feel pretty good about the fuel system. But when it runs, I don't smell gas - just exhaust fumes. It's hard to get a stethoscope on the injectors for the 20 seconds it runs. But it sounds fuel starved still and I wonder if an injector stuck open or closed could cause this? I've also got a real Durametric arriving next week to finally get some real data on this car. I've been using an iCarsoft POR II and it has been nothing other than a basic OBD reader to me. Last edited by tada; 03-31-2016 at 06:01 PM. That's an interesting idea that made me break out the Google machine. I do have a slight oil leak that is not the spark plug tubes (replaced), not the camshaft plugs (replaced), not a RMS leak, and appears to be coming from under the passenger side air plenum. So as I understand it, there is a oil pressure/temperature sensor under there next to a knock sensor. But doesn't that just drive the gauges and send info to the DME? Would it really cause the idle/stalling problem? My thought is this, low oil pressure is locked out for start up, but I believe times out if low pressure does not clear in specific time. This may shut down the fuel pump. This is typically a safety system so if car gets in wreck and catches fire the fuel pump doesn't continue running. Just a thought. It's a great idea. The part is cheap. Access is a pain, but removing the intake manifold for cleaning may solve that. And if it is leaking, I'd like to correct that. Thank you!